Myanmar, formerly Burma, is a Southeast Asian nation of more than 100 ethnic groups that borders India. Yangon, formerly Rangoon, is the country's largest city. 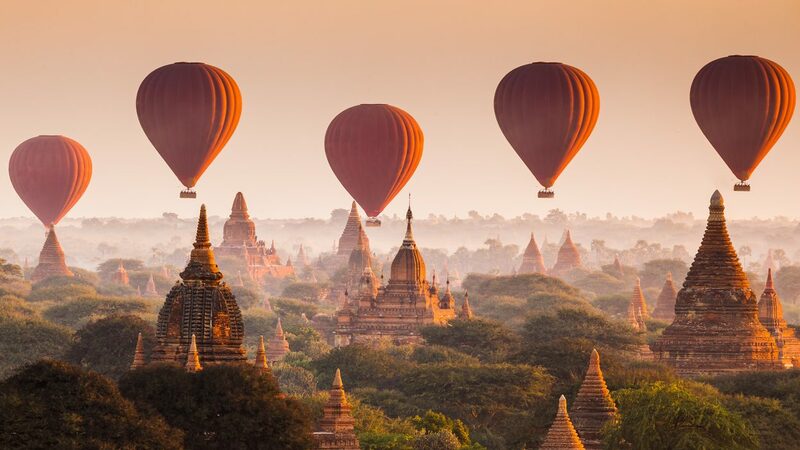 The Myanmar visa was implemented in order to easily process online travel authorizations which allow citizens of all eligible countries to travel to and within Myanmar. Visitors from various countries including the United States, the United Kingdom, Canada and Australia are eligible to apply for a visa for Myanmar. All visa applicants must have a passport valid for at least 6 months. A visa allows travelers from eligible countries and territories to travel to Myanmar for tourism and/or business purposes. Travelers are allowed to bring in 400 sticks of individual cigarettes or 50 cigars, 2 liters of liquor and 150 milliliters of perfume without customs duty. Cats and dogs must have a health certificate to be allowed into the country, and currencies can only be imported in limited amounts. The Myanmar airport is great! 20 mins from my parents' place and traffic is rarely a problem. Check in is quick with an air ticket (quicker if you check in online the night before) and then it's a stroll through security and a short walk onto the plane. Hopefully with the new international terminal they'll upgrade the domestic terminal too! I booked an air ticket with Myanmar Airlines operated by Singapore Airlines. I didn't bother to do online check in, as I did not have easy access to a printer and check in at the desk was free (although from now on cheaper air tickets will not have a free airport desk check in). Employees at the desk were very friendly and helpful. Security checks your air ticket after passport control and separately for each gate. Boarding was orderly and quick and takeoff and landing were on time. On arrival, baggage was retrieved really fast. They have some kind of wifi/entertainment system on the plane, but I did not try it out. Q. Top places to visit in Myanmar? A. The Shwedagon Pagoda and busy night markets can be found in the city of Yangoon. The Shwedagon Pagoda houses Buddhist relics that date back to the 6 century, while the night markets will give you a taste of the modern Myanmar culture. The Inle Lake and Mount Popa are also a popular destination for visitors as it offers beautiful scenery and an opportunity to take in the nature of Myanmar. Other notable temples to visit include the Ananda Temple and Sule Pagoda. Once you have your ticket to Myanmar confirmed, you should begin to plan out the details of your trip as many of the above-mentioned locations are popular and busy. Airports handling direct flights to Mandalay International Airport • Changi Airport (Singapore) ・Narita International Airport（Japan) etc. Airports handling direct flights to Yangon International Airport • Kunming Changshui International Airport (China) • Kuala Lumpur International Airport (Malaysia) • Suvarnabhumi Airport (Bangkok) • Hong Kong International Airport (Hong kong) etc. Air tickets to Myanmar are available from Singapore and Hong Kong with multiple flights a week from each location. The Yangon International Airport is Myanmar's main airport and it is also the busiest. 30 international airlines operate at Yangon International Airport. Myanmar National Airlines is the national airline of Myanmar.